Scientists noticed an incoming Asteroid towards Earth Surface with just 15 hours warning. Had it not changed the course, it could've turn a busy city into debris. Life is not like in a movie, you see a big alien object coming towards Earth,you start shooting missiles with nuclear weapons loaded, and destroy it. That's just a movie. This real life incident has proved that how insignificant we are, how incapable and pathetic our technology which couldn't detect anything like this before it entered our orbit and almost neared within 8,700 miles and missed our planet Earth. Comparatively, this thing was 30 times closer than Moon.And they noticed it 23 ft in size. Nothing to worry about. That's what they are saying even if it had hit the Earth. Something like this which couldn't be burnt down by our atmosphere and still progressed towards us, is of course not a subject of denial. People at those centers who take pride scanning galaxies and universe, should warn people way ahead than just few hours. So that any precautionary actions could be taken. This asteroid called 2009 VA is gone. 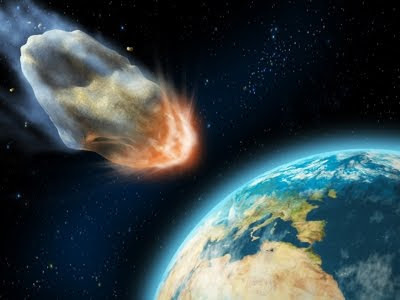 Last year, asteroids bigger than this have barely missed the Earth almost inviting scary situations. Government should practice burning down invasive foreign objects rather than pointing weapons to each other to prove might. It'd be the best thing doing for human kind. A couple of months ago, I myself detected something unknown and unusual object orbiting around Earth's Surface. There is a channel(I turn this channel on most of the time because, I feel ultimate bliss,feel like space wanderer.) 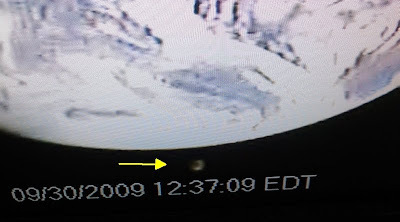 which constantly monitors the Earth and relay it's images in realtime to people's TV sets on Earth. I was freaked out to see one object(which I never saw before on any days same time, most probably could be asteroid) while I was doing my home chores and happen to have taken pictures of it. I don't know what it is, but still that was something which I can't forget for long time.